As prayers, supplies, and rescue services continue to arrive in Texas and Louisiana, we would like to take a moment to wish these areas a speedy recovery. One can only imagine what it feels like to witness such devastation. Managing the aftermath of a disaster such as the recent Hurricane Harvey can be confusing and outright devastating. Any and all people effected are left with trying to figure out ways to cope with such losses. The staff and resident of skilled nursing facilities unfortunately are not exempt when trouble arises. 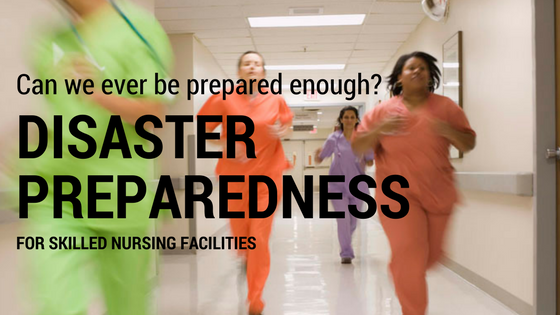 The importance of emergency preparedness can not be over emphasized. 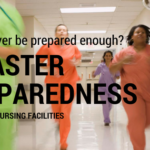 Skilled Nursing Facilities want to ensure to review the Emergency Response and Recovery at CMS.gov for the latest updates and releases related to this disaster and protocols to follow. 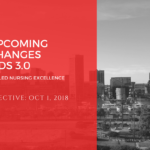 Skilled Nursing Facilities (SNF) and MDS professionals will want to ensure all measures are in place for coping as these times arises. Of course the first course of action is ensuring all residents and staff seek a safe and appropriate shelter away for harm and danger. Reviewing and identifying evacuation plan if necessary is essential. Having a plan in place for notifying authorities if transporting resident becomes unavailable. Making sure a ample supply of food and water is also a necessary step in providing overall well being of staff and residences involved, as we know when a disaster does strike there is no definite way predicting damages. Depending on the damages, persons can be stranded for days. Power need of medically fragile residents can be life threatening. Electrical needs such as oxygen can easily prove tragic. Keeping a updated list of these residents whos lives depend of such support, to ensure priority is received as soon as possible. Preparing mobile and paper copies of medications, physician orders, medical records along with thinking about extra medical supplies to continue to provide care as much as possible. With all the preparing that we can think of. It just seem to never be enough to mentally prepare for a horrific disaster such as the recent effects for Hurricane Harvey. We will continue to keep all of the victims in our prayers as they continue deal with the tragedy and losses that they have endured.